David hosted a breakfast event on the growth of data driven diversity and inclusion in New York. The event was co-organised by TrustSphere and Culture Amp and featured 50 invited guests. David delivered the opening keynote How to create business impact with People Analytics, as well as being co-chair of the Leading with Talent Analytics stream as over 400 HR professionals joined the conference in Barcelona. 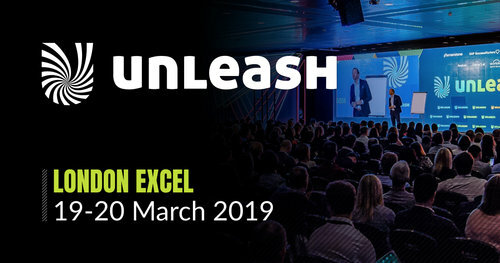 David spoke at the 6th Annual Spring UNLEASH Conference & Expo in London. His speech How to create more impact with People Analytics (see link for slides) drew a standing room only audience on day 2. David was also MC for the Influencers stage, which included speakers such as Josh Bersin, Katherine Jones, Jason Corsello, Mike Ettling and Thomas Otter. The inaugural SHRM HR Tech EMEA show took place in Dubai in February 2019, where David was the main conference chair. He also gave a keynote speech on How to Drive Business Value with ONA (see link for slides). The HRD Summit 2019 welcomed over 1,000 attendees. David delivered a keynote speech on Accelerating Business Performance through People Analytics on Day 1, and co-delivered a CoLab on Day 2 on the Nine Dimensions for Excellence in People Analytics with Jonathan Ferrar. Watch David’s interview with Emily Sexton-Brown, which focuses on the Nine Dimensions model and the latest trends in the people analytics space. The West Coast version of the popular PAFOW conference. David co-chaired the event along with Al Adamsen. David also delivered the closing keynote summarising the main talking points from the conference and pointing the way forward for the field. Speakers included Dawn Klinghoffer (Microsoft), Richard Rosenow (Facebook), David White (LinkedIn), Piyush Mathur (Johnson & Johnson) and Heather Whiteman (GE). Read David’s article on the key takeaways from the conference: Four Strategic Imperatives for People Analytics and watch the video highlights from San Francisco.